Bets.com is a dynamic online sportsbook that allows players to place bets on hundreds of sports games around the world. 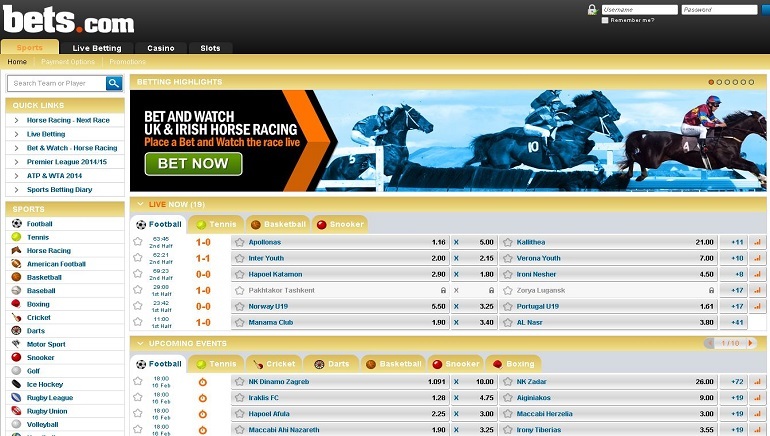 Members of bets.com can place wagers on games of football, tennis, horse racing, American football, basketball, baseball, boxing, cricket, darts, motor sport, snooker, golf, ice hockey, Rugby League, Rugby Union, volleyball, handball, greyhounds, MMA, cycling - you can even place bets on politics and entertainment! Bets.com also offers a live betting option, which allows you to place bets on sports games as they happen. Perfect for lads who enjoy fast-paced, perched-on-the-edge-of-your-seat action! Support is available to members 24/7, by phone, email or live chat. Whatever your issue is, there is a trained team of customer service professionals waiting to assist you. Customer support is available in six languages: English, Swedish, Russian, Chinese, German and Greek. Bets.com sportsbook offers a generous welcome package to new players, as well as ongoing promotions for returning players. These include their Refer-A-Friend bonus, Multiple Insurance, €10 Free Bet on In-Play Football, Tennis Live Betting Loyalty and Free Bets on Horse Racing and US Sports. There are over 40 ways to make a deposit at bets.com, all of which are secure. Some of the bigger names include Visa/MasterCard, Skrill, NETELLER, UKash, paysafecard, Euteller, ECO, clickandbuy, click2pay and InsaDebit. 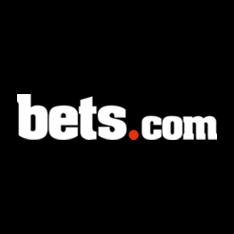 Bets.com also allows payments from local providers in over 10 European countries, as well as in Canada and Australia. Bets.com is protected by the highest level of security: 128-bit SSL encryption technology. The online sportsbook also vows never to share their players’ information with third parties. Bets.com is licensed and regulated by the Financial Services Regulatory Commission Antigua & Barbuda.